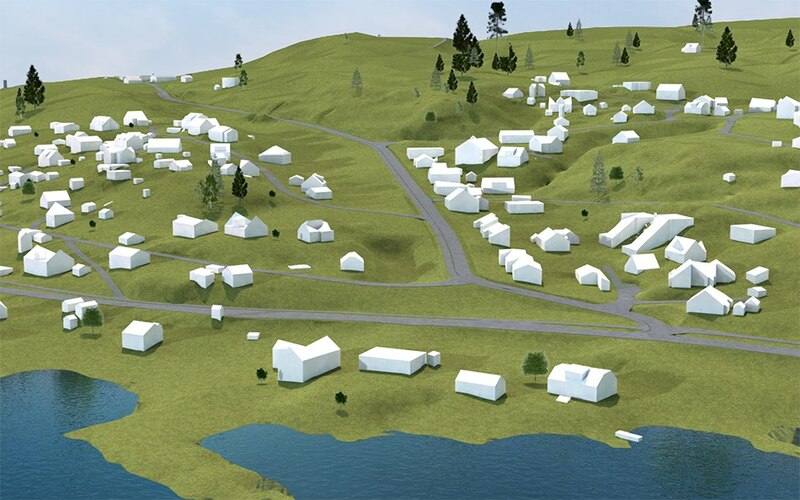 ArchiTerra is the solution for ArchiCAD users to create and manage 3D terrain models. It is a useful tool especially if you need to work with large sites, allowing the insertion of other elements such as roads, plateaus, buildings and others. ArchiTerra was developed and created to solve a particular problem for ArchiCAD users: the creation and management of tridimensional land models. ArchiTerra helps to create solutions for terrains by drawing your own site or importing data from different types of files, like DXF, Text or Shape files and allows you to work and visualize the morphology in 2D and 3D. Buyers from Norway are provided a special version ArchiTerra with SOSI import. Please, contact our Norwegian reseller for extra function, SOSI import ArchiTerra licenses. Q: How can I buy ArchiTerra? A: There are two ways to get your ArchiTerra license. You can buy ArchiTerra online through the Éptár webshop called BIM Shop via PayPal. Or in case you prefer to get an invoice, please, send us your invoice data (name/company name/address/VAT number) to info@eptar.hu indicating the type of key you would like to use. After paying the invoice, we will set your license. Q: Should I choose online key or machine key? A: We recommend to choose online key if you have constant internet connection on your computer. You can use ArchiTerra on other devices with online key but only on one computer at a time. If you start working with ArchiTerra from another device, the previous one will log you out and switch to demo mode. Choose machine key (offline key) if you do not have constant internet connection on your computer. With machine key you can travel anywhere, ArchiTerra will work, and it will exclusively work on one computer. NOTE: you can switch from online key to machine key but it is not possible to switch from machine key to online key. Q: How can I install ArchiTerra on my computer? 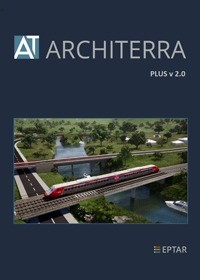 A: To install ArchiTerra go to: https://www.eptar.hu/architerra and press DOWNLOAD considering whether you work on Windows or Mac. Close ArchiCAD and follow the instructions given by the installer. When you next start ArchiCAD, ArchiTerra appears in the menu bar. Q: Do I have to register in Éptár webpage to be able to buy ArchiTerra? A: Yes, a registration is necessary for the activation of the solution. After registration and login you can give your data and also select the type of key (online or machine) and set it. You can give your ArchiTerra username and password here for online key that you can use to start ArchiTerra on your device. For a machine key, you can generate the requested code here as well. If you want to switch from online key to machine key, you can also do it after logging in. Q: How can I set the online key? A: In case of an online key, an optional username and password must be entered. After installing and starting ArchiCAD, you must select "ArchiTerra Registration", then pressing "Validation" and "Online validation" buttons. You have to enter the username and password you have given after logging in to eptar.hu then activate ArchiTerra by pressing the "Activate" button. Q: How can I set the machine key? First, you have to install ArchiTerra and start ArchiCAD. In the menu bar, select the "ArchiTerra Registration" button. A window will appear where you can download the machine_key.dat file to your machine by clicking on the "Save your machine description file" button. A window will appear where you can download the machine_key.dat file to your machine by clicking on the "Save your machine description file" button. Login to www.eptar.hu and press "Unlock Key" button on the user interface and select "Machine key", you can upload the file by pressing the "Save changes" button. You have to insert the received code to ArchiCAD "ArchiTerra Registration" "Validate an already purchased key" "Machine key...". The program is activated. Q: What shall I do if I want to use ArchiTerra on several computers at a time? A: If you want to use ArchiTerra on more than one computer at the same time, you have to buy as many licenses as many computers you want to work on. One ArchiTerra license can be used on one computer at a time only.